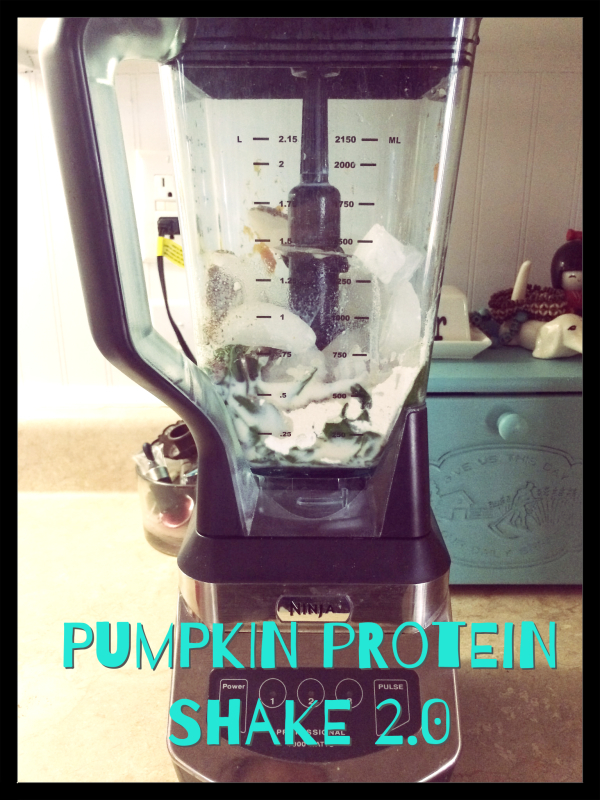 I originally posted a pumpkin protein shake recipe on my personal blog in 2011. This is another version I decided to try. Sometimes we go to the gym later and when I’m done it’s almost lunch time. On days like that I like to make some kind of meal shake. There’s a little shop in town that sells blended Herbalife shakes in about a million different flavors. Unless I start making good money to fund my addiction to them I need to make my own. Also, the majority of theirs use soy protein which I’ve been trying to avoid. So, I found some similar shake recipes online and saw they use a tablespoon of instant pudding mix. Um, yes please?! I’ve been making some shakes with Mounds pudding mix but changed it up with this one and busted out the cheesecake. OMG. I’m not really sure the nutrition content in this. If you want to know you can plug it all in somewhere. I figured its going to be meal sized calories since I kind of just tossed ALL THE THINGS in the blender and turned it on. 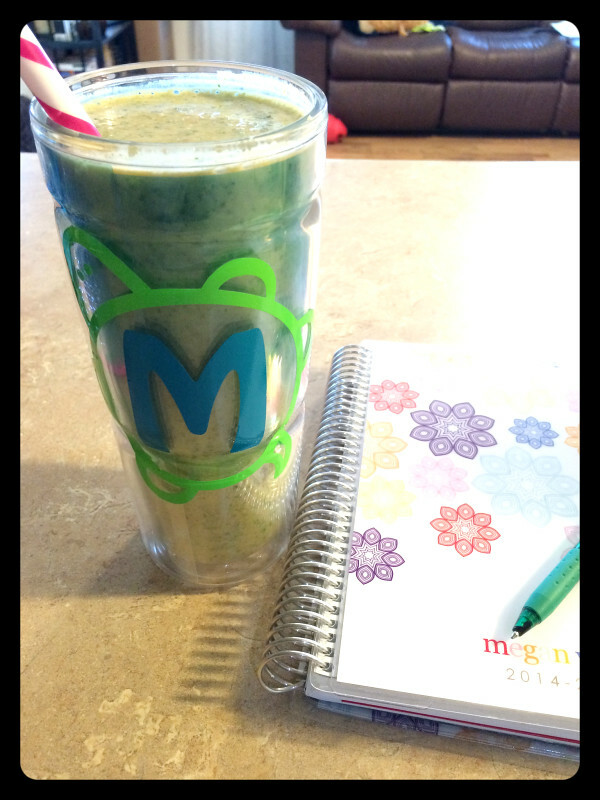 Blend all that goodness together. It was really tasty! When I made this one there was all the talk of pumpkin spice lattes floating around the internets…I needed something fall-y that wasn’t going to make me sweaty (because Alabama fall is still summer).